Exciting news coming from the Guell Bicycle Store in Nara, firstly they are in the process of opening a second branch in Kusatstu city, Shiga prefecture in May of this year. 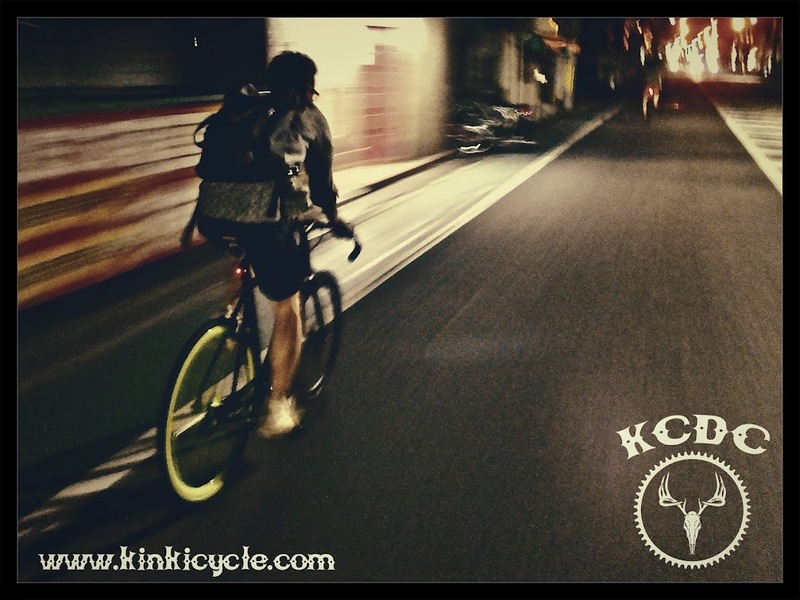 Great news for Guell, great for Shiga cyclists and great for Kinki Cycle! You can follow the store's progress and news via their blog. Secondly, Guell are now stocking Surly bikes! I was going to post these on the Street Bike Gallery page but thought it deserved it's very own post. It's a very cool custom Surly Steamroller we came across today in Osaka. Three chords and the truth! A few more pictures from the past few years of Osaka Cycle Mode shows. After seeing the wonderful creations coming out of this year's NAHBS show we present a selection of random photos taken at the Osaka Cycle Mode shows over the past three years. Sorry for the lack of descriptions and info, just enjoy the lovely shiny bicycles! Mr Kitamura's Classic De Rosa Road Bike. Finally something with Campag on this blog! Mr Kitamura was our navigator on the epic Guell Sunday Ride to Asuka! Brad's Giant Carbon TCR Road Bike. Almost too nice for words! Shimano groupset, White Bros cranks, Custom Kashimax Saddle, Very nice Toshio! Toshio-san organizes the Guell Sunday Rides and also Rides BMX. Mr Yamamoto's very high end custom Kuwahara Funny. Another Veteran Of The Shirakawa Dam Adventure! Shohei-san's custom SE Bikes single speed. Single Speed all the way up the Shirakawa Dam, Respect Shohei, Respect! Bought from Gira Gira, Osaka. Ridden, fixed, on the now seminal Guell Sunday Ride to Asuka! Mr Toepfer's Heritage Edition Leader Track Bike. Toepfer has detailed info it's ongoing evolution over on his Cajun Gaijin blog. In action last year on a Guell Sunday Ride. Follow more of Toepfer's Japan adventures on his Youtube channel here. Our good friend Stuart from Bikefix in London has just sent us info of a new German made pedal called Moto. Check out the video below. We are trying to get our hands on a pair to test and will report back when we do. The British Women's Pursuit Team beat Australia to win gold yesterday at the UCI World Track Cycling Championships in Minsk, Belarus. After the Guell Sunday Ride yesterday we dashed across town to catch the final few races at Nara Keirin. It was the final day of a three day meeting commemorating the 62nd anniversary of the track. The Guell Bicycle Store in Nara regularly organize group rides to various sites in and around Nara. Yesterday's ride was to the Shirakawa Dam, one of many dams in Japan. 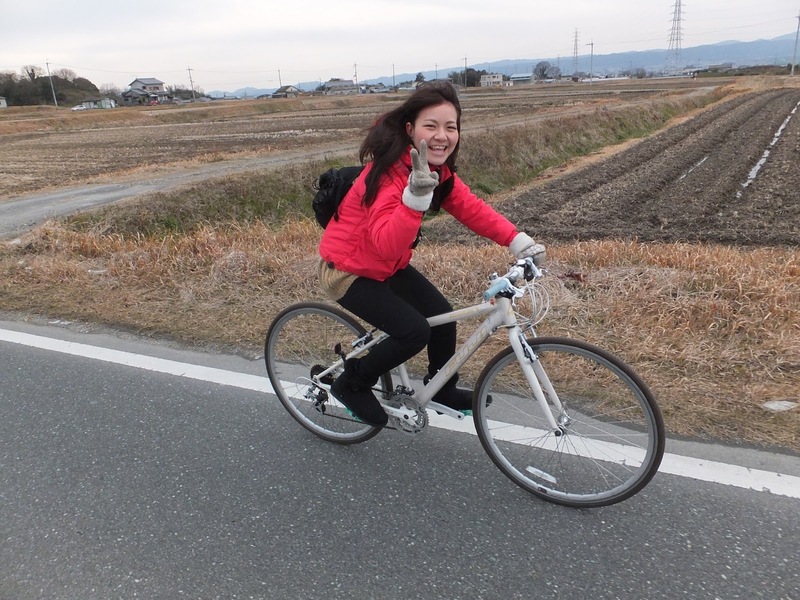 It was about a 30KM round trip with a few mild climbs on the way, taking us through the Nara countryside. ...Must come down! Thanks to Toshio for this photo. ...And it was great to see Mr Toepfer back on the road again!